The Bottom Feeder Mouse is a breed of mouse found in the Sunken City. It is known to drop Barnacles and Sand Dollars as loot. This mouse slowly crawls along the ocean floor, scrounging for scraps of anything that could resemble food. It moves so slowly that Barnacles easily form along this mouse's leathery hide. The Bottom Feeder Mouse has no specific preference for any kind of cheese. The Bottom Feeder Mouse is susceptible only to Hydro weapons. It can be found in the Rocky Outcrop zone while on a Dive in the Sunken City. The Bottom Feeder Mouse drops the Barnacle Egg during the annual Spring Egg Hunt. 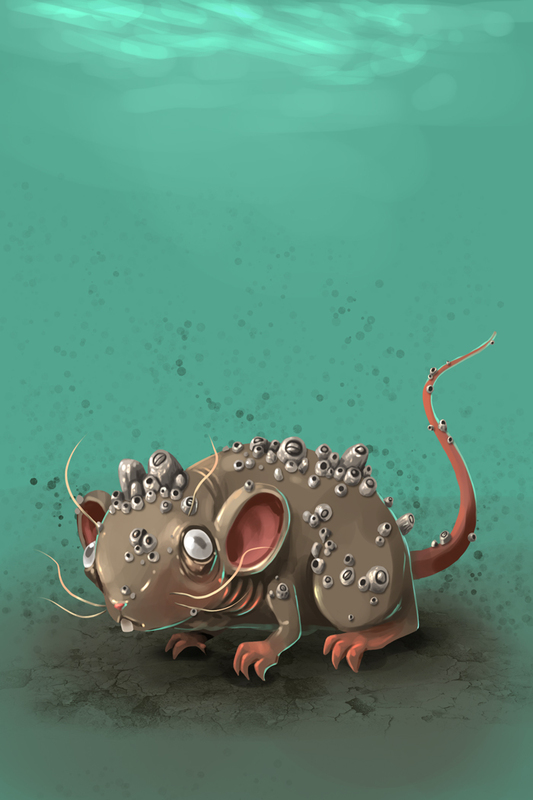 The Bottom Feeder Mouse was released 2 July 2014 as part of the Sunken City content.